For further information regarding Specstore and the services we provide, or for providing us with feedback, please feel free to contact us using the form. One of the members of our team will get back to you. 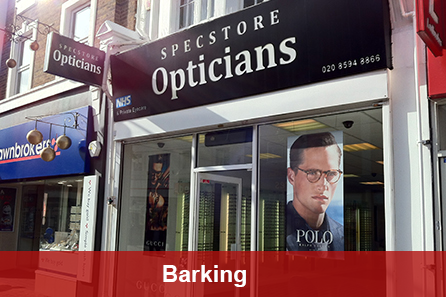 Since our Barking branch was established in 2007 we have built a trusted reputation for providing excellence in eye care in the community. We are on the pedestrianized high street. Nearest parking available is at Vicarage field shopping centre located opposite Barking train station. Practice has full disabled access. 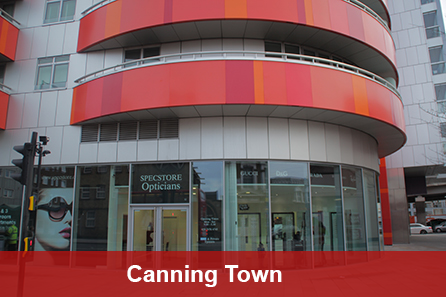 We are 3 minutes walk from Canning Town station (step free station) which is linked by Jubilee line. We are 5 minutes tube journey away from Canary Wharf and Stratford. 5,115,300,330,69 are 2 minutes walk. Located on the Barking road just off Canning Town rounderbout, next to the cooperative supermarket. Parking available.